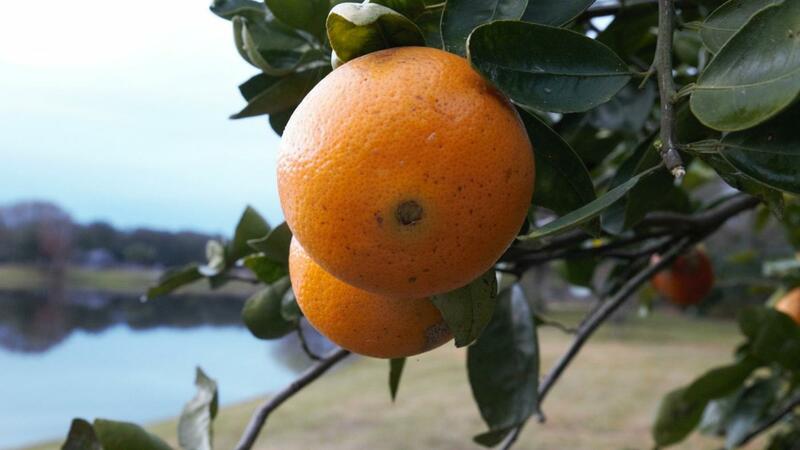 Florida's natural resources include trees, citrus fruit, sugar, fish, beaches, water, and cattle. Florida enjoys many economic opportunities because of its natural resources. Jobs and tourism in the state are directly related to these natural resources, and many Environmental Protection Agency regulations are in place to protect them. There are over 6,000 square miles of water in the state of Florida. This includes 4,682 square miles of lakes, rivers and streams on the inland portions of the state and 1,308 square miles of coastal waters. From the coastal waters, fisherman gather shrimp, lobster, grouper, and clams to feed the public. Florida also has a considerable mining industry thanks to phosphate, natural gas and petroleum resources. Phosphates from the state are ground up and used as fertilizer. In the 1990s, mining of natural gas, petroleum and phosphates provided $1.5 billion to Florida's overall economy. Much of the phosphates are located on the central west coast of the state. Soft wood trees are one of Florida's natural resources and are important to the local economy. Each year workers plant 125 million new seedlings. The trees make up over 14 million acres of commercial forestland, and approximately half of this land is owned by private companies and individuals. Is There a Haunted Hospital in Nashville, Tennessee? Where Is the Clearest Water in Florida?